When considering a move to cloud computing, customers must have a clear understanding of potential security benefits and risks associated with cloud computing, and set realistic expectations with their cloud provider. 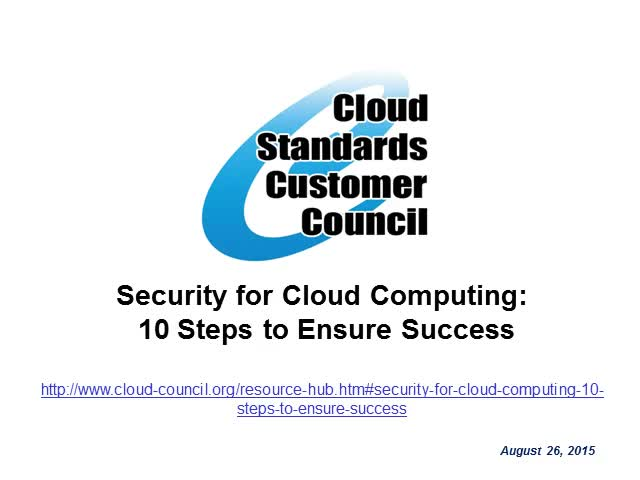 "The Security for Cloud Computing: 10 Steps to Ensure Success" webinar provides a practical reference to help enterprise IT and business decision makers analyze the security implications of cloud computing on their business. The presentation will provide guidance and strategies designed to help these decision makers evaluate and compare security offerings from different cloud providers in key areas.